Garth Kemp is the famous morning meteorologist for KCBS-KCAL who did an exemplary job conducting CBS2-KCAL9 "Chips for Kids" to collect and distribute holiday toys for kids. Kemp who's dedicated 20 years of his life in weather forecasting has always given us a heads up on how our day will go and for that, he's gained all love and support from his fans. The forecaster has successfully managed to keep himself busy in his career, balancing his personal life at the same time. Kemp is a married man, happily married to wife Carmen Cole. Get more details about the pair in today's section. 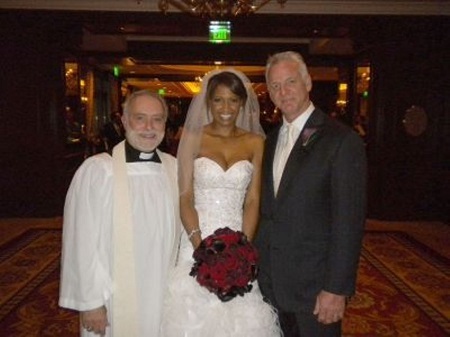 American Weather Forecaster Garth Kemp and Carmen Cole's Married Details: Are they Happily Married? Garth Kemp and his wife Carmen Cole have been happily married for the past eight years. His wife Cole is a professional attorney. The pair got married on 19th December 2010 and ever since they've been together. The 66-year-old weather reporter Kemp maintained a low-profile when it comes to his personal life. He and his wife rarely make public appearances together. He also rarely talks about his married life on his Instagram. Despite living a private life, we can say Kemp is living happily with wife Cole as there is no any rumor of their split and divorce. The pair despite such a long relationship doesn't share any children. Instead, they own a pet together, a dog. Kemp is quite close with his dog, The Bosso. He treats The Bosso as his son and also written himself as "The Bosso Dogs father" on his Instagram bio. He also has another pet cat, Chillin. Kemp shared a great bonding with both of them and loves spending time with them in his free time. Moreover, Kemp loves surfing, biking and car racing in his free time. The couple doesn't have children yet but Kemp is proud to be the father of lovely pets. He mentioned himself "#thebossodogsfather" on his Twitter profile. Kemp is now morning meteorologist for KCBS-KCAL which is owned by the CBS since July 2016. The meteorologist announced the news via his Instagram on 6th July 2016. "It's official I'm the new morning weatherman for #CBSLA! See you all every Mon-Fri from 4:30am-7am!!! Tune in or I get locked up." Kemp joined the network in December 2015 as a freelancer. Prior to KCBS-KCAL, he worked for ABC7 owned KABC. He served ABC7 from 1998 to 2015 as a weather reporter. Garth hosted in the show Eyewitness News. 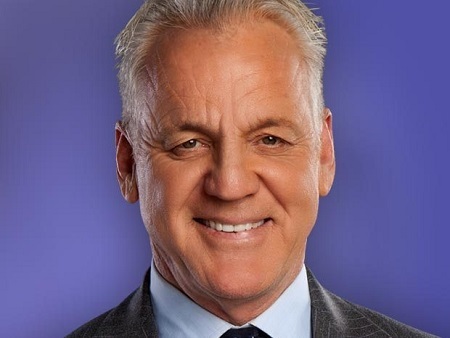 Before ABC7, he worked in several local stations: KLOS-FM, KQRS-FM in Minneapolis and WAPP-FM in New York. Garth Kemp was born on 6th February 1952 in San Diego, California, United States. He attended the State University of Denver. Kemp started his career at a local FM station, WAPP-FM in New York. He left ABC7 in August 2015 after 17 years of service. Kemp also active in CBS2 – KCAL9's CHiPs for Kids program for the support of needy children.